Hampton style interiors are having a moment, and it’s about time! We love how this spacious, modern and elegant look from Long Island naturally compliments our own shores – and we think it’s here to stay. 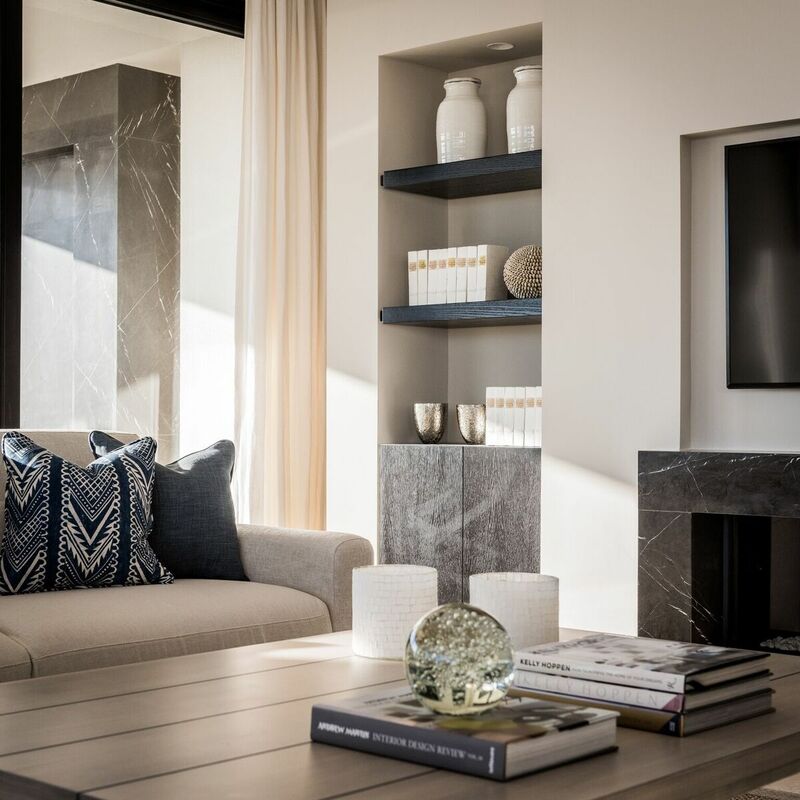 Using natural textures like sisal wallpaper, rugs and fabrics, our designers brought together seamless elegance with earthy and comforting colours of beige and white to create a classic, modern feel for this coastal bungalow. White linen curtains and washed wood, accessorised with natural driftwood, seashells, coral pieces and antique books, all accented with hues of aqua blue completed the look, turning a living space into an inviting and comforting home by the sea.